Our traditional style Amish Cable Mill Cantilever Plasma Stand with Drawers and Glass Doors will look great in a formal style living room. Constructed from solid wood, it features bun feet, four glass doors, and two drawers. 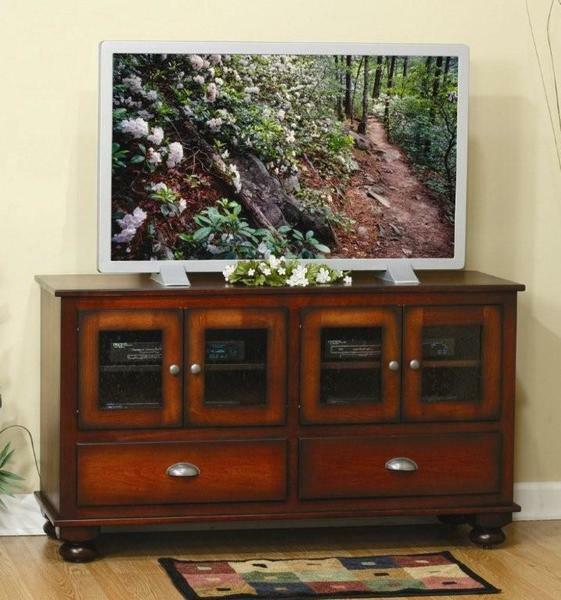 This TV stand offers storage options in the drawers and on two adjustable shelves positioned behind the glass doors. Select wood type, finish, hardware to customize it. Other options include soft-close doors and drawers.